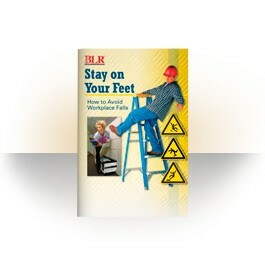 Stay on Your Feet: How to Avoid Workplace Falls - English Ed. OSHA recognizes that causes of dangerous falls are everywhere and has issued several standards governing workplace safety that require not only safeguards but employee training. 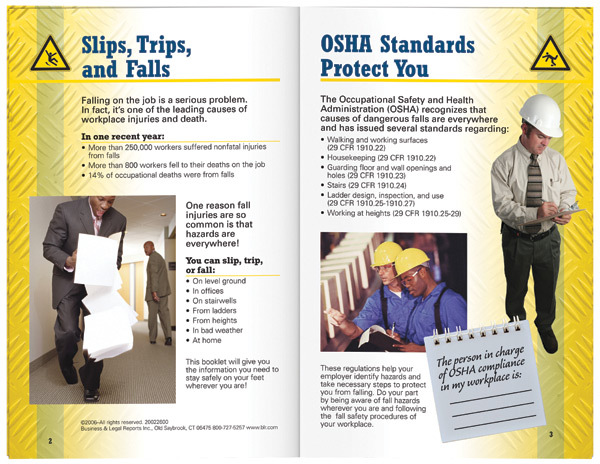 This interactive employee booklet uses colorful photos and real situations to hold your employees attention and makes it easy for you to be sure your employees know the potential injury a careless action can cause.